When we begin to realize that leadership is less about what we know, and more about how we see, we give ourselves a new access to developing leaders who can enact significant, sustainable change. " 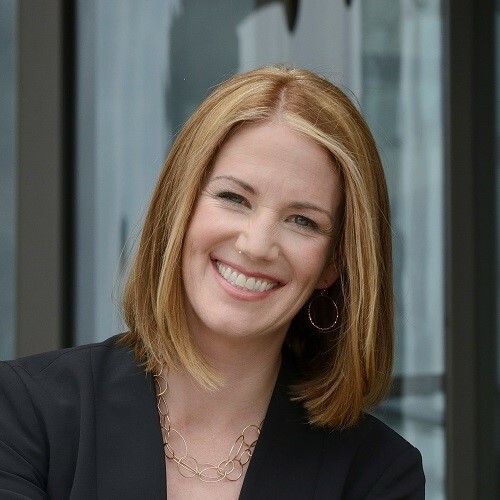 Kari Granger, founder and CEO of The Granger Network, leads the executive and leadership development firm with authenticity, bravery and relevance. A decorated former Air Force officer, she is a subject matter expert in both applying and teaching the concepts of transformative leadership under the most challenging conditions. Ms. Granger empowers leaders to create tangible results in the areas they are committed to. She has worked in close coordination with numerous branches of the U.S. armed forces and governmental agencies to achieve breakthrough mission performance, from leading logistical operations for hurricane evacuation missions and strategic planning initiatives or cultural alignment work for Defense Base Realignment and Closure (BRAC) activities, to solving airlift logistical challenges and leading U.S. troops under enemy fire during combat duty in Iraq. As an aircraft maintenance officer, Ms. Granger managed overall operations of the maintenance organization numbering over 1,200 employees, responsible for an aircraft fleet valued at over $1.2 billion and managed an annual flying hour budget of over $20 million. Ms. Granger is considered a thought leader in her field and currently leads a team of coaches and consultants who work with client leaders throughout an organization. Her unique team approach with specialists at every organizational level proves capable of impressive organizational transformations. The Granger Network supports clients that span the globe, from individual leaders to national and international associations, institutions, military units, corporations, and organizations. Ms. Granger’s clients span several industries with special emphasis in healthcare, military and higher education. Kari studied at the Bonch-Bruevich Saint-Petersburg State University of Telecommunications, St Petersburg, Russia, is a Distinguished Graduate of the U.S. Air Force Academy with a B.S. in Behavioral Sciences, holds an M.A. in Education Leadership from the University of New Mexico, and is an ICF Professional Certified Coach. As a mother with a strong voice in the world, Kari has a special interest in working with powerful leaders who also have a profound commitment to being there for their family while fulfilling on their personal global purpose.